When I had only one child I felt like I was able to keep up on household chores fairly well. Especially when she was a little bit older and out of the needy, screaming, nursing on demand phase. I have always felt more comfortable in a neat house. I mean, it doesn’t need to be organized top to bottom, but I like my floors clean, dishes done, and laundry put away. If those things start falling behind, my anxiety starts going up! So, when little miss Samara entered this world I was thrown for a loop. Trying to divide time between my two little ones, my husband, and my chores was a whole other story. Emotions were high; since I had just given birth, so obviously I was crying all the time. Feeling like a bad mom/wife because my house was dirty and I didn’t know who to spend time with or when. Someone always needed me to play, or cook, or tell them a story. I’m so grateful for my sweet hubby who is always so understanding. During my early postpartum days he helped SO much. I mean, cooked all the meals, cleaned, folded laundry, and handled Leilah while I was struggling to breastfeed. Props to the hubs! Since I started doing this, I found that I can get myself put together right away, which makes me feel much more productive for the rest of the day. If I have showered, attempted a bit of makeup, and had a cup of coffee before my kiddos wake up, I will feel like I started the day off on the right foot. Even though that means waking up at 5:30am. I know this sounds silly. And I have always been a procrastinator when it comes to this. But, whenever I make my bed in the morning, I genuinely feel like my house is more put together. Which makes me feel more organized. I feel like a messy bed is the representation of the whole day; just a mess! I’ve come to the realization that starting the day out with clean dishes, ready to go for everyones breakfast, really sets my day up for success. This then allows me to clean dishes as I go, avoiding clutter on the counters. I’m sure you’ve heard people recommend doing this before. Honestly, when I first heard it I thought, “pfft, who’s got time for that?”. Well, my previous routine of waiting until the end of the week to do everyones laundry, running out of time to dry and fold it all, then having to redo a bunch of it…wasn’t working. That method was taking up so much time, making me feel way more overwhelmed. When I can get at least one load of laundry done each day, I am able to fold it and put it away. Avoiding a big mountain of laundry that is hiding who-knows-what on the bottom! 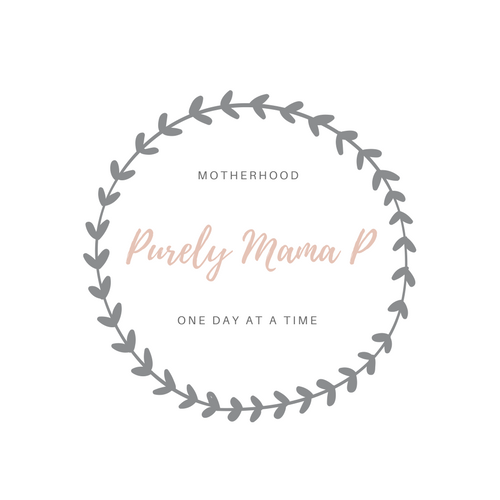 As a busy mom, it’s difficult to get the motivation to clean the huge mess everyone created for you at the end of each day. You want to prop your feet up, put on netflix, and chill. So, if you can do just a few small things through out the day like, sweep up the kitchen after lunch, wipe off the counters, pick up toys that aren’t in use, it can help lessen the anxiety of a disaster waiting for you once everyone is asleep. No one wants to wake up to a huge pile of dishes in the sink. Seriously. I was so bad at this for so long. I procrastinated and would just go to bed and say “I’ll do it in the morning.” HA! Who has time to do a whole load of dishes in the morning when kids need to be fed and babies need to be held and snuggled. This has really helped me keep a routine going. I’ve gone through the phases. Get a planner, stay super organized, forget to use it for a day, and forget you ever had a planner. But, for the last 6 months I have been super diligent about planning out my months, weeks, and days to make myself stay on top of things. For me, if I write something down, I’m like 90% more likely to actually do it. So grab a planner, jot down your month at a glance, and set goals you’d like to achieve each day. As you cross them off, you’ll feel so productive. What are your top tips to keep yourself organized through out the day? I’d love to hear! I am not a stay at home mom but I love these. They are so practical for parents across the board! Thank you! It has helped me keep some sanity. I think anyone could benefit from trying them. Yikes! That is a long work day! I used to be so bad at the dish washer and bed too. It helps soo much to stay consistent. But I bet being out of the house that long makes it so hard to keep up on things. Especially the dishes and the bed making. I am so glad I am not the only one who feels that way! I really have to try a planner for the rest of the chores…maybe that is just what I need. Thanks! Oh my gosh! How big is your family? That is a lot of laundry. I used to use cloth diapers, so my laundry was insane then. But since I gave those up I can stay pretty caught up with one load a day. Your first tip is really good, and I’m actually going to try it. It’s just so hard with a newborn and a 17-month-old who give me no sleep! I don’t have a dishwasher (, but I would kill for one! ), but I do a load of laundry at night. Great tips, mama! Saving these! I’m glad you like them! And good luck! Wow a newborn and 17 month old and NO DISH WASHER? Props to you mama! yes yes and yes to the planner! Makes a HUGE difference in life!!! Very nice post–good thoughts and easy to read! These are things I’ve also found that definitely help, especially #1 and #2… now, if only I wouldn’t stay up so late reading blogs so that it’s easier to actually get up in the morning… 😛 It’s really so much better when I do!! Girl tell me about it! lol Some days my husband doesn’t wake me up because he knows I didn’t get much sleep. Then I end up playing catch up the whole day. He’s sweet, but I need to set my own alarm now ha!